We are excited that you have came here to check on us. Instead of under construction we are a work in progress. Keep coming back and you'll see more. 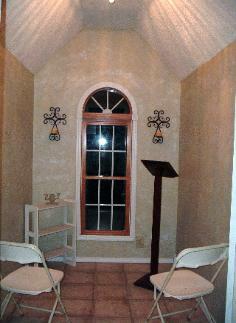 chapel in use in Missouri. It holds 8 people comfortably (5 guest). 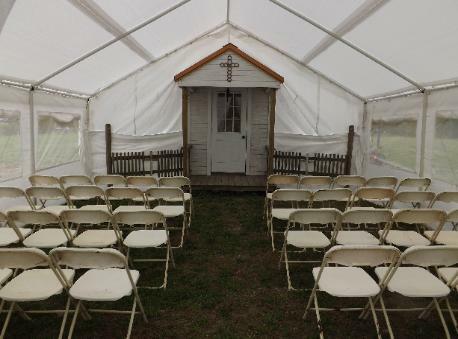 We have access to larger Chapel's with sitting capacity to 150 people, we also have outside areas available for larger weddings. If you wish for a short notice wedding (elopement) or a lavish wedding we are here to help you. (for a readable copy of this section go to "Contact US" on this website). 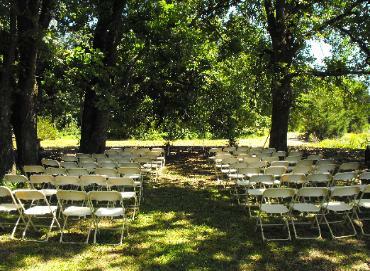 We have many on-site areas to hold your wedding, some outdoors and some indoors. plus at least two more areas being worked on which will be outside areas. If you are thinking of having your wedding off site we have just what you're looking for. The Green Tent is one of our newest additions. 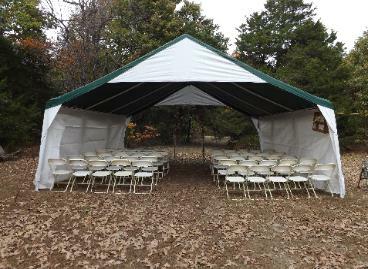 The Green tent be used for many things such as reception. Beautiful outdoor setting with a real outdoors feeling. 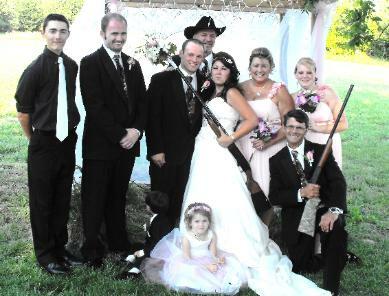 My ultimate favorite wedding party photograph. 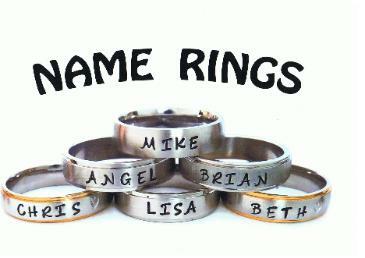 offering "Name Rings" for $25 each. Made while you wait here at Shepherd's Field. Ring page. Just punch Rings on the Navigator. 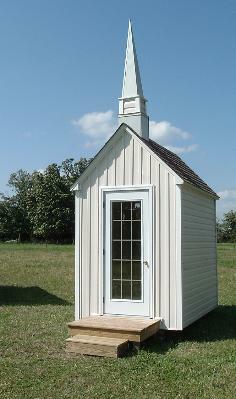 Roamin' Chapel as the back drop. It will hold up to 50 guests and it has it's on sound system. but the lights will be going in very soon. cedar tree and the pond. 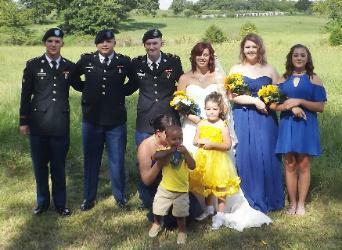 Bride and her friends brought it all together. get into all the Photo's. Our 600th couple to be married. wedding we celebrated our 600th. honor of officiating your wedding.